Part of a new series which brings together some of the best-loved stories ever told, illustrated by some of today's finest artists. The classics have never looked so good! 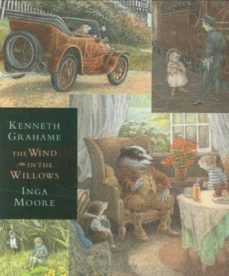 Kenneth Grahame's classic children's story tells the adventures of the amiable Mole, the dapper Water Rat and the marvellous Badger as they endeavour to keep the wayward Toad out of trouble. ¡Elige qué historias te van a acompañar en tu nueva aventura lectora! Disfruta de todas las novedades y la mejor selección de narrativa de bolsillo ahora en promoción.